Today we are happy to present one of younger MadPea team members: RAG (Rag Randt). He combines having fun in Second Life with learning for RL. It was exciting to hear him talking about the benefits of mesh building. Quan Lavender: You are quite a long time in SL. Was building your main interest from the beginning? Quan Lavender: You started with smaller artworks, I still have and love that cute house with windows and went to 3D then. RAG (rag.randt): Yes, I learned building on my own through Building Brewery and tutorials on blender guru and blender cookie. I would like to get back to artwork soon. But no time.. I have so much to learn with mesh and blender and much more! Quan Lavender: But good to have you in the MadPea team now :)) So, what are you building here? RAG: Well I am thrilled to be here! And I learn a lot too. I build stores for the builders which are run down structures to fit in with the general decay of the new sim build. This is my first and my last store using prims, because now I know how to upload mesh and textures integrated and it is much more efficient with lag etc. good for the sim performance. 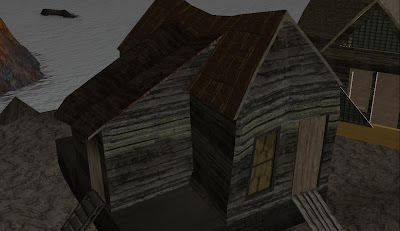 This store is 77 prims, the mesh houses are 15. That is important! But have a look here. This house is the latest mesh upload :) Its fun working with mesh, so flexible. Quan Lavender: In which way is it more flexible than sculpts or prims? RAG: I am not limited in any way with mesh because I can make it in blender using points lines and faces; making any shape possible and relatively easy and less laggy in many instances! Quan Lavender: I experience that too as user, but why is mesh less laggy? RAG: Because we can control the amount of verticies (points) the structure has. So for instance if I have a simple cube. In a sculpt that has to have 1024 points or verticies. With mesh, i can make that same cube with 8! And I am working on my first car to upload too. There is a trick i am learning.....I can upload a beautiful car, but it would be 1000 prim equivalent! So, I am learning to make a low PE car but texturing it so that it looks high PE (prim equivalent). 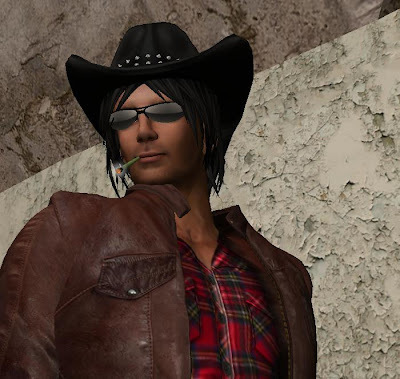 Quan Lavender: You are designer RL, does your experience in SL helps for your RL job? 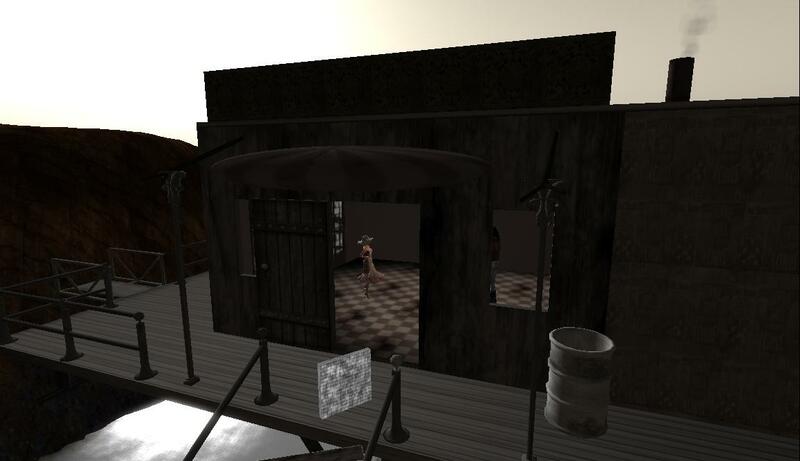 RAG: My RL job is changing into SL technology: mesh...I am looking to become a master mesh designer and will use 3D technology to supply the growing 3D industry. In SL and any 3D application. My traditional 2D print illustration industry has been in market decline for a long time now and the 3D world is a new medium for me as an illustrator/designer. It's a tough transition but its good for the brain to learn new things. But i can apply all my old techniques. Mesh consists of two major components: topology and texturing. Quan Lavender: You have fun and learn at the same time! That is perfect! Do you think that 3D animation and 3D worlds will have an increasing importance in future worlds? RAG: Yes. In many industries such as education and advertising, training and of course gaming. Quan Lavender: Thank you Rag, that was interesting! Is there anything you want to say to our readers? RAG: Always learn new things, then you will never feel left behind in life and make sure your mesh has good topology. This is the way you structure the mesh in an object. With good topology you have good textures and good movement.